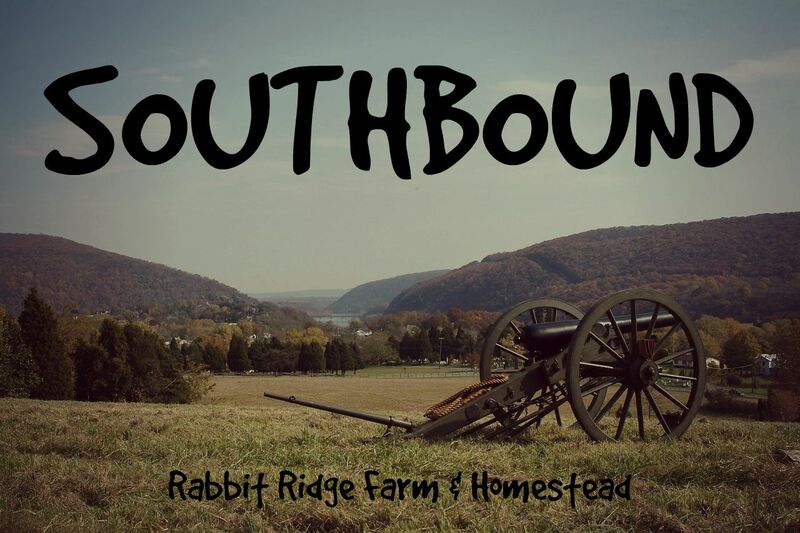 Rabbit Ridge Farm has some big news! We are headed south. As many of you may know Scott and I will be finishing our bachelors degrees this fall. After some long talks and a lot of mulling it over we have decided to move to where he grew up in West Virginia. We are leaving in a week but will be back for ten weeks in the fall to finish up our degrees. Now don’t get me wrong I love New Hampshire and I have really enjoyed living on this little lot. That being said there are so many reasons to go! 1.) The land is free. It has always been in the plans to expand Rabbit Ridge Farm (can you say huge gardens and flock of sheep) but this will be the quickest way to meet that goal. We will be moving onto land that’s owned collectively by Scott’s siblings and father but its almost 300 acres! 2.) The weather. I do like winter. I have skied and played ice hockey since I was a kid but the shorter warmer winter in West Virginia is very appealing. It’s not quite as hot as farther south and there’s still mountains but its considerably warmer than New Hampshire something I know our gardens and animals will really appreciate. 3.) We get to start immediately. There’s no need to save up for land since it’s free. We will be headed down in next and beginning to clear our house site and work on our dream homestead. I am so excited. 4.) Speaking of starting immediately we’ll be making some huge transitions immediately. Our new house will have a composting toilet and be off the grid probably without any running water or electricity at all for awhile though we do hope for a few solar panels eventually. I couldn’t be more excited for this especially since I won’t be making these transitions in a long and bitter cold New England winter. 5.) Our neighbors will be family. This is great for many reasons. The first and foremost being we can stay with Scott’s dad on the property while building our house. The second is that we already know that they are all for big gardens and animals so they’ll be no worrying about whether our neighbor is upset about our new rooster or animals getting loose. Finally we’ll only have to travel by foot for visits. Sounds great but will everything be great? Nope. It’s going to be and immense amount of work before we even start building. We’re leaving a lot of hard work in a mid-season garden though we’ll be in the area to harvest some in the fall as my father will still be living there. I am not looking forward to moving 7 chickens, 10 ducks, 4 rabbits, and a dog 900 miles but we think it’ll be worth it. So stay tuned for information on this immense adventure. Good luck to you. We moved from northern Vermont to central Florida 22 years ago. I am still a Vermonter at heart but the weather is much easier on the old body here. You get used to the changes and move on. I do wish we had some mountains though. Thanks so much! We're starting to clear land for our home soon so we're super excited. I do love New England, we actually just finished college in VT but I can see how a lot of things will be easier for us farther south. West Virginia still has some mountains thankfully! Do you homestead in Florida?